Oreo may be America’s favorite cookie. I mean, with a chocolaty exterior and creamy interior, they are perfect. Plus, most of us grew up on them. We dunked, twisted and snacked to our hearts content. But it seems this classic treat is getting an upgrade: Oreo is releasing two new flavors — and they both sound delish. 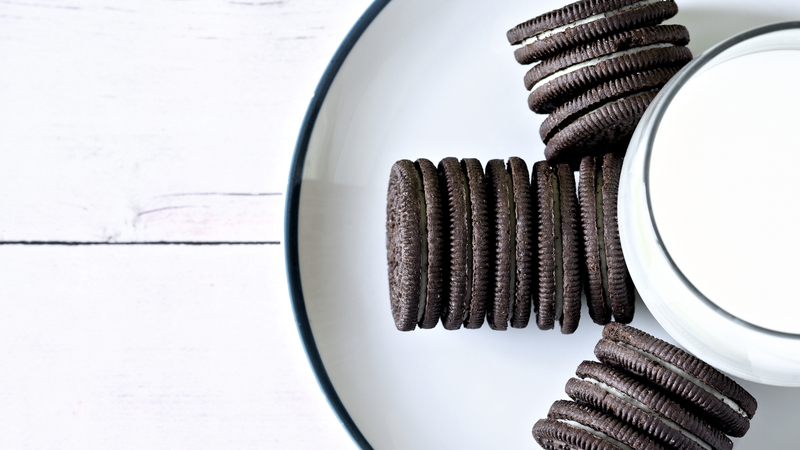 The first addition to the Nabisco lineup is the Dark Chocolate Oreo — a cookie that, according to an email sent to Delish, will sandwich “dark chocolate-flavored creme… between two classic Oreo chocolate wafers.” And while this may not sound all that different from the preexisting Chocolate Oreo, we’re betting this variety will have a richer and bolder flavor. As for the second addition, details surrounding the Carrot Cake Oreo are a bit more ambiguous, but they are no less exciting. According to Instagram foodie Candy Hunting, these Oreos will pair carrot cake-flavored cookies with cream cheese-flavored cream. But the best part? Both cookies are slated to be released next year. The Dark Chocolate Oreos will be available on Jan. 2, and according to Candy Hunting, the Carrot Cake Oreos will be available in the spring — although a specific date has not yet been announced. But if you can’t wait another two weeks, head to your local store now: Oreo offers dozens of flavors that are bound to satisfy any sweet tooth.